Mumbai: Indian Men’s Hockey Team jersey unveiled in Mumbai ahead of Odisha Hockey World Cup. Indian Men’s Team and coach donning the new jerseys and walked the ramp. The entire function is centered around one program which has been rightly titled ‘Only when everybody shares the same dream, does it become a reality’ organised by the State Government as part of its 360-degree campaign for the Hockey World Cup. The jersey has been designed by National Institute of Fashion Technology (NIFT) alumnus and renowned designer Narendra Kumar. On this occasion, the State Government will also launch ‘Hockey Adda’ which is being described as an on-ground interaction with Hockey players, past and present, and experts. 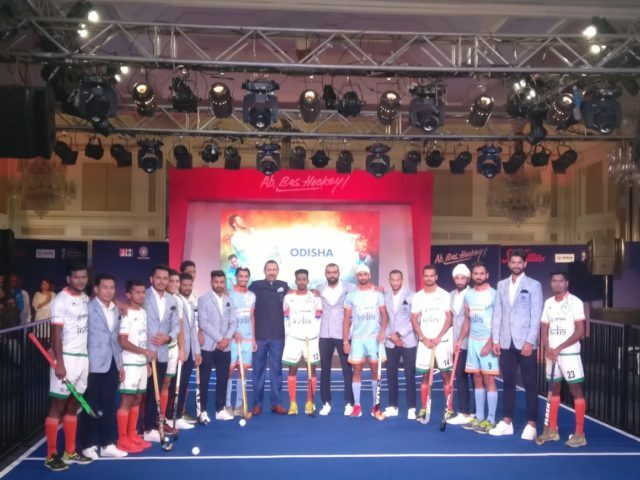 This adda will see participation from a myriad of players including, “Ajit Pal Singh, captain of the present team P R Sreejesh, former captains Dhanraj Pillay, Dilip Tirkey, Sardar Singh, Sandeep Singh and Ashok Kumar, son of hockey wizard Dhyan Chand“. 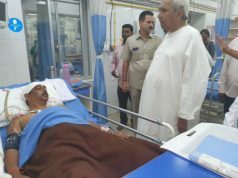 Proud of Odisha government, the Chief Minister and the people of Odisha for supporting Indian Hockey said former Indian Captain Dilip Tirkey during the ceremony. Hockey superstar Dhanraj Pillay talks about the coveted cup HWC2018 and how this is the best team and coach to win it.